Style Line Series vinyl windows were chosen for its slim-profile frames, yet energy efficient performance qualities. See this show stopping view! 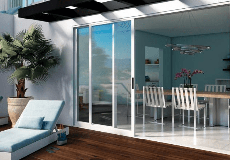 Why Choose Vinyl Windows and Patio Doors? Learn more about Milgard vinyl options.